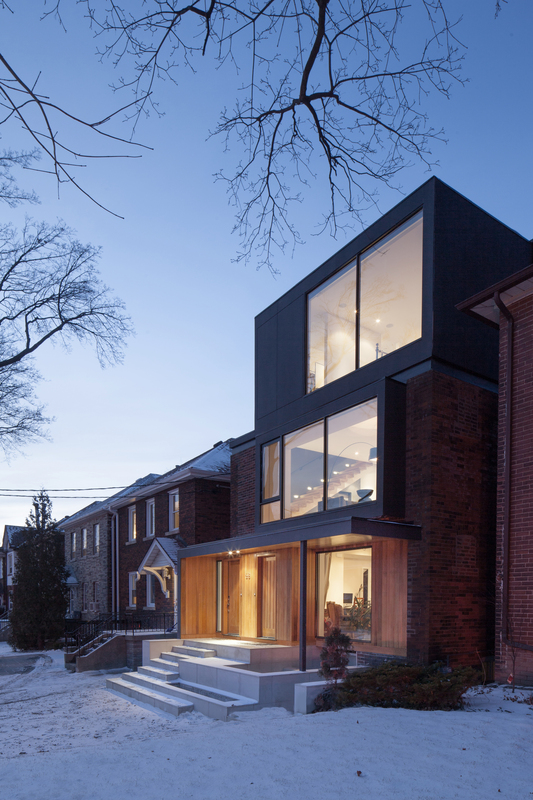 On a residential street in midtown Toronto, Studio JCI undertook the renovation of a two-story home, adding two generous rental units. The architects grafted a third floor onto the home, thereby satisfying the owners’ desire for high ceilings and providing them with ample living areas. DUBBELDAM architecture + design, tasked with remodeling a 1,850-square-foot Victorian house, juxtaposed the home’s 125-year-old red brick façade with vertical, black-stained cedar cladding at the back. The owners of the design boutique Mjölk live in a two-level, 2,450-square-foot apartment over the shop. Studio Junction worked within the 19-foot-wide building to create an apartment that, thanks to a clever layout, offers light and space despite being hemmed in on both sides. Working with architect Paul Syme, a couple transformed a bland 1930s Tudor house in downtown Toronto. The overhaul involved removing the gabled roof and adding a “light monitor”—an angled rooftop window like the ones that topped early 20th-century factories. A house from the 1880s that was narrow, small, and in terrible shape was transformed into a bright, sustainable home. Architect Heather Dubbeldam used a variety of strategies to keep it green, but also created remarkably rich spaces and textures in this small house and equally tight yard.